Rhythmical Einreibungen is an Anthroposophic Nursing treatment that weaves together the polar principles of form and life to support health. The forms of the hand movements are guided by the structure and function of each body part. Archetypal form principles of straight line and circle enhance these movements. Imbuing each movement with the qualities of rhythm, breathing and warmth unites the forms with the realm of life. Gently and fluidly, the hand movements glide over the body supporting inner harmony and a sense of well-being. Rhythmical Einreibungen addresses directly the etheric and physical bodies of the human being; bringing renewal of the etheric body's inherent well-spring of life forces and supporting it's enlivening of the physical body. The higher members of the individual also respond to this treatment, renewing their interest to work through the bodily organization in a harmonious way. Overall, the effect is to support both unconscious life processes and consciousness. It is recognized that the patient receives the gift of Rhythmical Einreibungen and inwardly works with it in a way unique to individual needs. The gentleness of the approach allows for this individual inner effect. Rhythmical Einreibungen is a treatment in itself, and at the same time, enhances receptivity to the therapeutic substances applied via the skin during treatment. Rhythmical Einreibungen is applicable to support wellness and to support individuals through a variety of illness conditions. It supports rhythmic life processes of sleeping and waking, breathing, circulation, digestion and elimination. It promotes relaxation, relief of pain, life forces, tissue healing, and awareness of one's center and boundaries. Rhythmical Einreibungen can be given to support health needs for individuals with developmental disabilities, in pregnancy, for infants, children, the elderly, and for individuals approaching death. Rhythmical Einreibungen is one of the three cardinal Anthroposophic Nursing treatments. The other areas of Anthroposophic Nursing treatment are External Applications such as compresses, poultices and oil cloths, and therapeutic baths such as footbaths, nutritional baths, oil dispersion baths, as well as others. Rhythmical Einreibungen was first developed by Dr. Ita Wegman in the 1920's in the Arlesheim Klinik, an Anthroposophic medical clinic she founded in Arlesheim, Switzerland. She collaborated extensively with Dr. Margarethe Hauschka in furthering the treatment. Originally this treatment was given as a means to enhance the application of therapeutic substances to the body. Since this time Rhythmical Einreibungen has been highly refined through the dedicated work of Anthroposophic Nurses. It is taught and used in many countries around the world. Rhythmical Einreibungen is taught by Anthroposophic Nurses in accordance with the "Handbook for the Certification of Specialists in Rhythmical Einreibungen According to Wegman/Hauschka". This Handbook is issued from the International Forum for Anthroposophic Nursing (IFAN), in Dornach, Switzerland (www.icana-ifan.org). It is available via the "Quality in Anthroposophic Nursing" (QAN) website (www.qualitaet-ap.org). The Rhythmical Einreibungen Foundation Course introduces all the Part Einreibungen for the major body parts – chest, abdomen, extremities and four ways to administer a back einreibung. It also introduces, in theory and practice, all the specific skills that, in their totality, create the cohesiveness of Rhythmical Einreibungen – these are called Quality Criteria. The intention of the Foundation Course is for the students to become familiar with the Quality Criteria and increasingly competent with administering Rhythmical Einreibungen. RE Foundation Course Certification (RN’s only) requires additional assignments, enrollment in the RE Mentoring Program and demonstration of competency. Early registration end Sept 1st! Foundation Courses are open to all individuals. Teacher recommendations is required for entry into RE Part 3. Participants receive a certificate of completion at the close of each course. NAANA & IFAN Certification is awarded to Registered Nurses Only. Upon fulfillment of all RE Foundation Course (Level 1) Requirements. are required for RE Foundation Course Certification. This training overview may evolve at the discretion of the faculty. Pregnant women may not be worked on in a training setting. Anke Smeele is a Registered Nurse since 1979. She specialized in Pediatrics, Community Nursing and Home Care, and has lived and worked in Camphill communities since 1982. Anke has practiced Anthroposophic Nursing in the Netherlands, England, Switzerland, and the USA. Anke completed her training for Rhythmical Massage in the Hauschka Schule in Bad Boll, Germany, in 1984 with Irmgard Marbach. She graduated from the Birch Tree Center for Holistic Nursing in 2006, and is currently Board Certified in Holistic Nursing. Anke studied Anthroposophic Nursing in Clinic Arlesheim (Switzerland), and with Joan Smith (UK). She graduated as Specialist in Rhythmical Einreibungen under Edelgard Grosse-Brauchman and Fiona Sim. She is a Specialist in Anthroposophic Nursing (ANS), and Rhythmical Einreibungen (RES). Anke teaches Einreibungen in the Foundation course and Specialist training for Anthroposophic Nurses at the American IPMT. She also teaches Rhythmical Einreibungen in various US locations and in Canada. Anke is teaching in the Social Therapy Training in the Camphill Academy at Camphill Village Copake, USA Ltd. Anke is a founding and current Board Member of the North American Anthroposophic Nursing Association (NAANA). She is chair for the Education Committee, creating opportunities for training and further development for those interested in Anthroposophic nursing. Anke has closely worked together with the International Forum for Anthroposophic Nursing (IFAN) in Dornach, Switzerland, in auditing several courses offered by NAANA, leading to accreditation of these courses. Elizabeth Sustick, RN, ANS, RES Elizabeth is a Registered Nurse since 1970. She initially worked in Open Heart Surgery in Boston and subsequently studied and worked in the field of whole foods cooking and nutrition. She designed and taught early models of parent child classes in Waldorf Early Childhood settings for 15 years. Post-graduate studies include Rhythmical Massage Therapy, International Forum for Anthroposophic Nursing (IFAN ) certification as a Rhythmical Einreibung Specialist and Anthroposophic Nursing Specialist. Elizabeth is a founding Board Member of NAANA and the founder and director of the IFAN accredited Anthroposophic Nursing Foundation Course and Anthroposophic Nurse Specialist course in North America. She is Vice President of the Association for Anthroposophic Medicine and Therapies in NA (AAMTA) and Secretary of International Council of Anthroposophic Nurses Associations (ICANA), Dornach, Switzerland. In addition to a private practice, Elizabeth teaches in the IPMT in NA and China, and with Lifeways, WECAN, PAAM events, as well as in Waldorf schools. Elizabeth is co-owner of a natural foods restaurant, established in 1978. Karen received her RN degree in 1982 and began her nursing career in the Philadelphia area, providing homecare for 15 years. In 1999 she began her journey in Anthroposophic Medicine, working in a private medical practice and in Camphill Village in Kimberton Hills. Wanting to deepen her skills, she completed Foundation Courses in Rhythmical Einreibungen in 2002, and the Psychosophy Seminar in 2004. She went on to graduate as a Specialist in Rhythmical Einreibungen under Edelgard Grosse-Brachman and Fiona Sim in 2012. Karen broadened her nursing expertise to include Oil Dispersion Bath Therapy. Following her passion for holistic healing she completed a three-year training certification program at the PA Gestalt Center in 2012, continuing the development of those skills through on-going bi-weekly training sessions, and integrating the concepts into her daily work. Karen teaches eldercare at Camphill Village Kimberton Hills in addition to teaching RE Foundation and co-teaching the RES program. Karen is profoundly committed to the expansion of Anthroposophic Medicine in North America, in which she is the current and founding Board President of the North American Anthroposophic Nurse’s Association. Judith is a Registered Nurse since 1971. 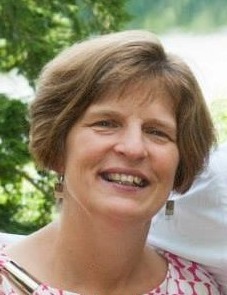 She lived and worked as a Co-Worker at the Fellowship Community from 1978 - 2004. In this intergenerational setting, caring for the elderly through aging, illness and death, she developed her anthroposophical nursing. In 1998 she graduated from the Rhythmical Massage School, which at that time was in Harlemville, NY. This gave her a foundation for her further training as a Rhythmical Einreibungen Specialist and Teacher from 2010 - 2012. She has also taken the Oil Dispersion Bath Course. She now supports the training of care-givers at the Fellowship Community and has a private practice in Chestnut Ridge, NY. 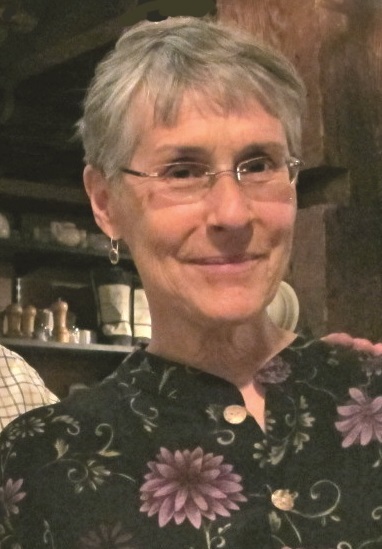 Judith is a founding and current Board Member of the North American Anthroposophic Nursing Association. Janice is a Registered Nurse since 1983. She initially worked in Intensive Care, Coronary Care and Emergency Nursing for 12 years. She has worked in Anthropososphic Nursing since 1996. In 2001 she completed her Rhythmical Massage Therapy training in the USA. She followed this with Rhythmical Einreibungen Foundation Courses in 2001 and 2002 and RE Specialists and Teacher trainings from 2010 – 2012. Janice is an Anthroposophic Nurse Specialist, Rhythmical Einreibungen Specialist and Teacher and Oil Dispersion Bath Therapist. She teaches AN, RE, Home Care & Curative Education in the USA & Asia. She is an Assistant Tutor in the Rhythmical Massage Therapy Training in England. Janice is the Coordinator of NAANA’s RES Committee and is the IFAN Rhythmical Einreibungen Coordinator since 2017. Since 2001 Janice works at Camphill Special School Beaver Run, in Glenmoore, PA. In 2004 Janice completed the Psychosophy Seminar, and has since been active in creating educational opportunities for understanding the human soul; she is a Board Member of the Association for Anthroposophic Psychology. Janice is a long-term student of Astrosophy.